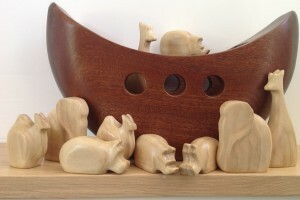 Barry and Gail Hooper have been designing and making wooden toys for many years. The designs are a collaboration between Gail’s background in Education and Barry’s ingenuity. 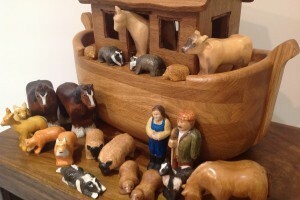 Both have a love of wildlife and are passionate conservationists hence the desire to create Arks and the strong animal theme throughout their work. Influenced by the traditional Folk Art movements from around the world, every piece is hand made and painted or stained by hand. Needless to say all items comply with the latest European toy regulations.